Doing the double duty of a stool and a coffee table, this will be a smart inclusion in your home. Made from good quality wood, it will remain in prim condition for years. 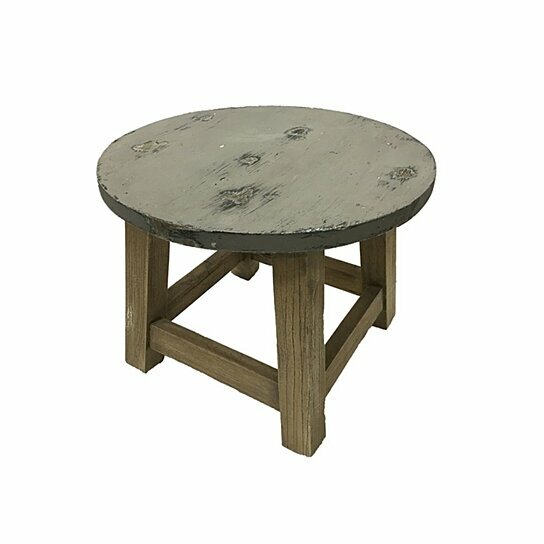 The top of round and has a distressed finish in gray. Four wooden legs in natural brown support it. Keep it anywhere you wish to indoors or outdoors and it will prove to be a great inclusion. If you are fond of wooden decors, this round table will not disappoint you.